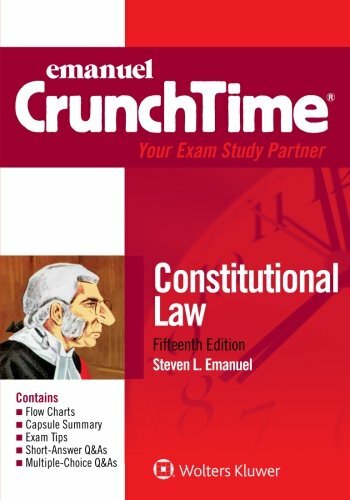 Emanuel CrunchTime provides a comprehensive topic breakdown and critical information review all in one tool. The application flow charts can be used all semester long, but the capsule summaries are ideal for exam preparation. Each title offers capsule summaries of major points of law and critical issues, exam tips for identifying common traps and pitfalls, multiple choice-questions with answers, short-answer practice questions with answers, and essay questions with model answers.